Ready, set, GO: September Issues! The September issues of fashion magazines are THE must have editions. Without them, fashionistas like we are, are lost. And being on the cover of the September issue means a lot. 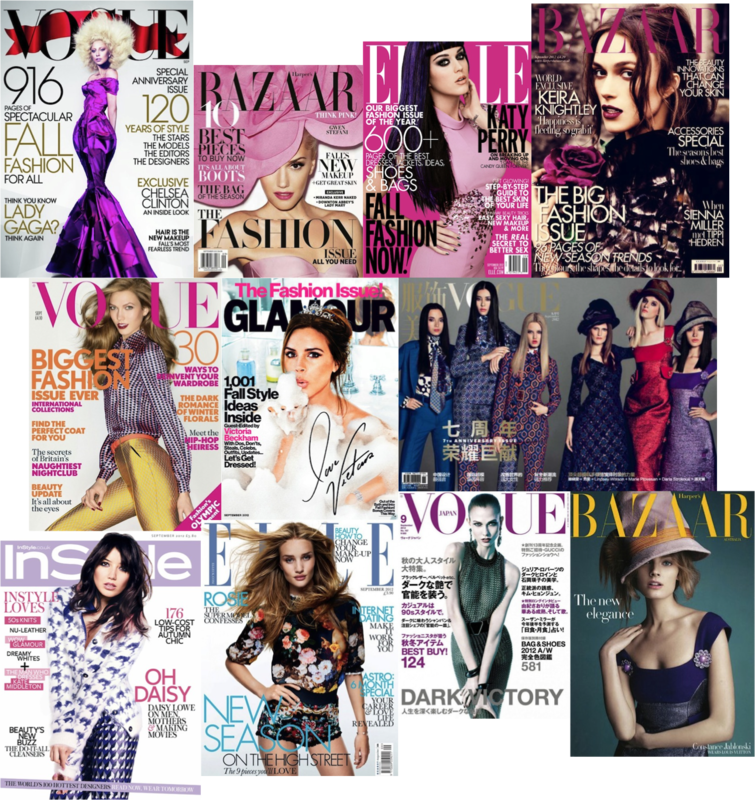 Here are the September cover girls, with Lady Gaga up front as cover girl of the US Vogue and Karlie Kloss with 2 Vogue covers! I’ve been holding it off for a while, but that means that I need to start working on my trend report this weekend….